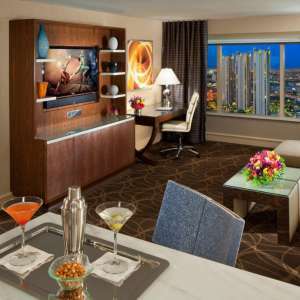 Elevate your Las Vegas stay in a one- or two-bedroom Penthouse Suite. 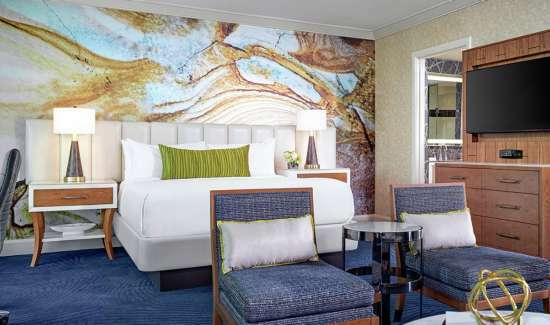 Enhance your stay with exquisite amenities that include a steam shower, whirlpool tub and open living area. 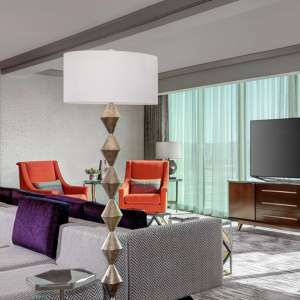 Vdara’s base suite is anything but basic. A private balcony, dedicated sitting area, full kitchenette & rejuvenating spa tub. 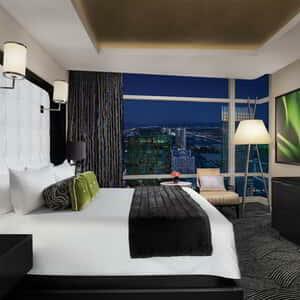 Escape and experience sweeping balcony views in Vegas. 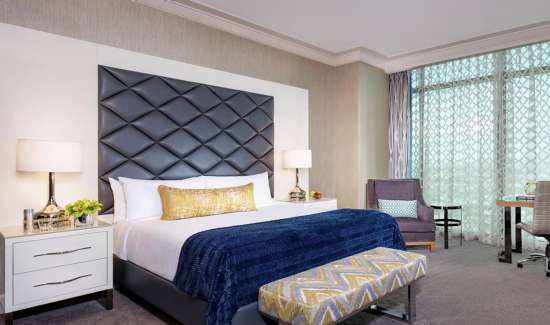 Two Bedroom Grand Lakeview Suites exude opulent details and stunning Fountain views. Enjoy separate master bedrooms, couples’ baths and an open living and dining area. 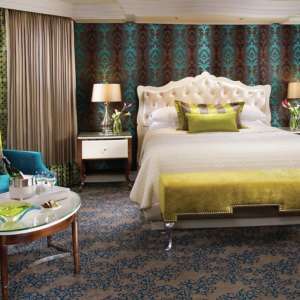 Elegant and sleek, the tranquil oasis of the King Suite offers a subtle interpretation of chic. 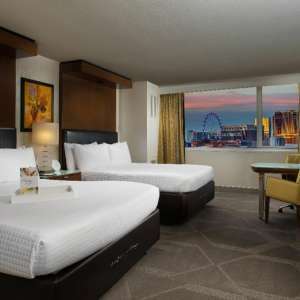 Our Corner Suites Strip View have feet of floor-to-ceiling glass that draws you into the vibrant Las Vegas Skyline as your night's soundtrack fills the suite. 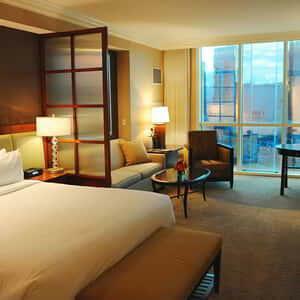 The master bedroom features floor to ceiling windows & well appointed bathroom. 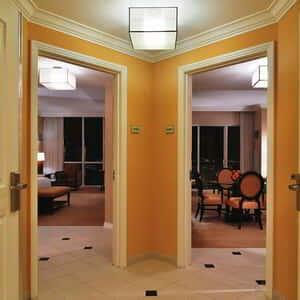 Double doors separate the luxurious living and dining area from the bedroom. The finer things in life? We've built the finest. 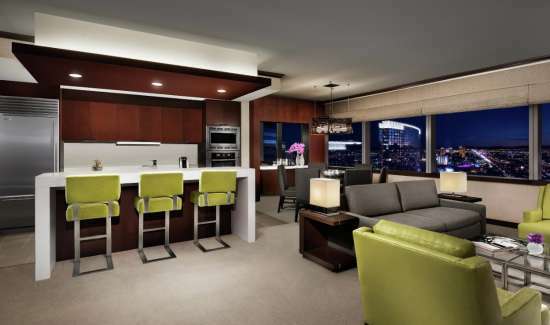 Modern simplicity is blended with stylish comfort in our 1450 sq. ft. Panoramic Two-Bedroom Queen Suite. Neutral tones accented with fresh greens and vibrant blues reveal a natural sense of comfort highlighted with hints of energy for a stylishly relaxing vibe. Two separate bedrooms with their own bathrooms complete with a luxurious whirlpool spa tub and separate shower, a spacious living room & more. 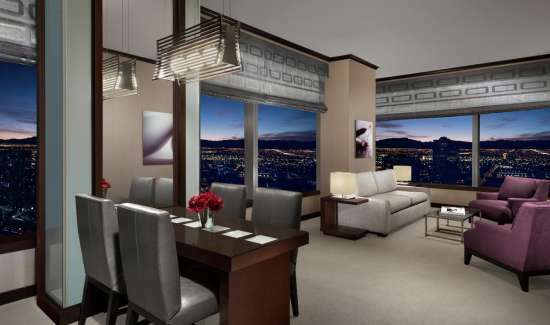 Enjoy the timeless beauty of Bellagio in these spacious two bedroom suites. 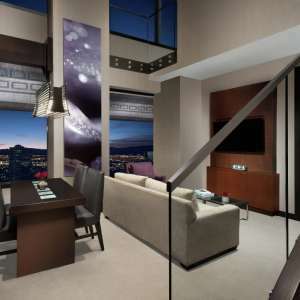 Elevated in both height and sophistication the One Bedroom Penthouse Suite offers sanctuary on the Strip. 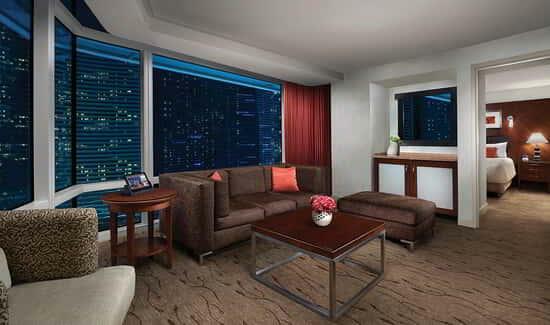 Experience the ultimate in VIP living in this incredible suite at New York-New York. 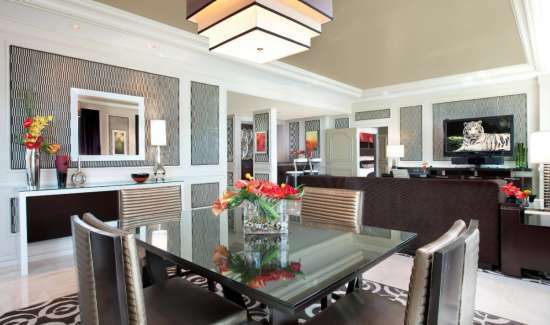 Blending culture, cuisine, fine art, and pure entertainment, The Villas place you in the upper limits of luxury. 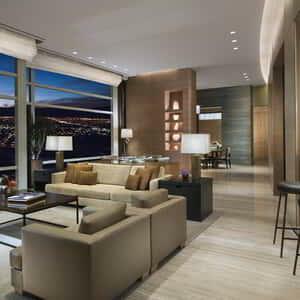 Sweeping views and luxurious interiors. The living area comes complete with audio/visual capabilities and a large dining table. The master bedroom features floor to ceiling windows & well appointed bathroom. 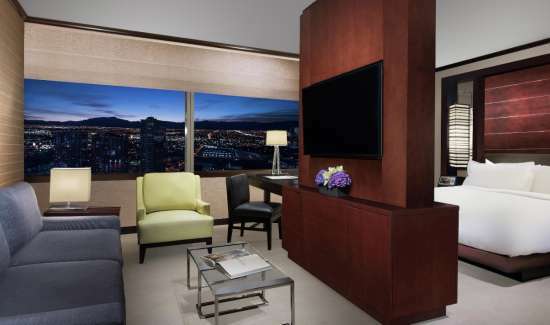 The pinnacle Chairman Suite features a solarium, indoor garden and fountain, fireplace, L-shaped bar, two master bedrooms, private bathrooms, and a conference room. 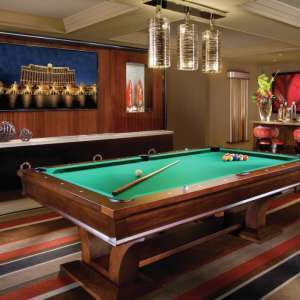 These unique suites feature a billiards lounge and media room and are perfect for unforgettable Las Vegas events. Executive Parlor Suites were designed with entertainment and technology in mind, featuring a billiards lounge and an enclosed media room with surround sound. 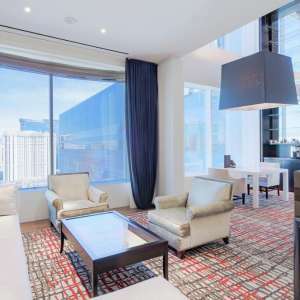 Spacious luxury is the best way to describe the Two Bedroom Penthouse. 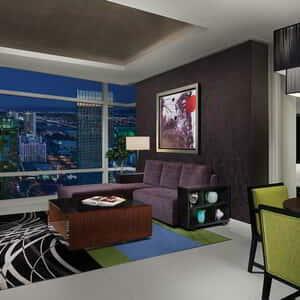 Modern simplicity is blended with stylish comfort in our 1450 sq. 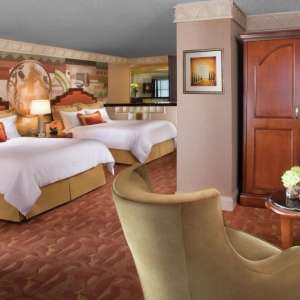 ft. Panoramic Two-Bedroom King Suite. 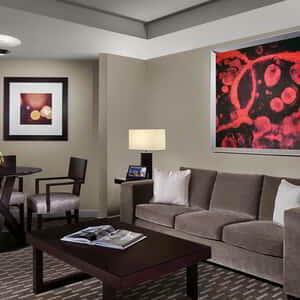 These luxurious suites are appointed with the finest furnishings and artwork for your comfort and pleasure. 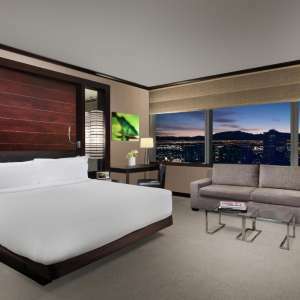 A masterpiece of visual sensation, the Scenic Suite proposes an all-encompassing views of Las Vegas. 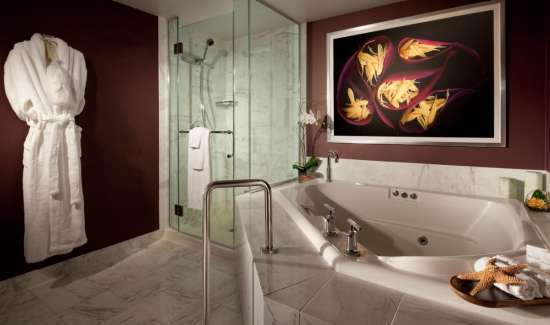 These luxurious two-bedroom suites are appointed with the finest furnishings and artwork for your comfort and pleasure. 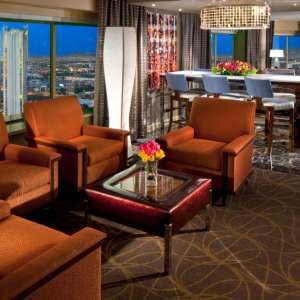 Unwind in style in this expansive two-bedroom penthouse suite, your home away from home in Las Vegas. 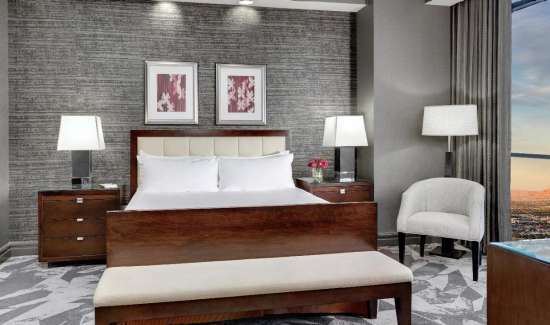 Our lavish Two Bedroom Penthouse Suites feature open living and dining areas and two bathrooms in each bedroom, featuring a steam shower and soaking whirlpool tub. 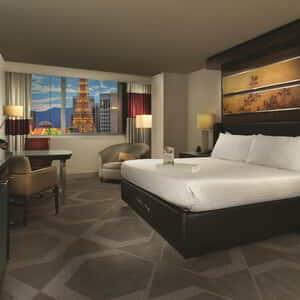 Two luxurious queen beds and 700 to 800 square feet of gorgeous space. 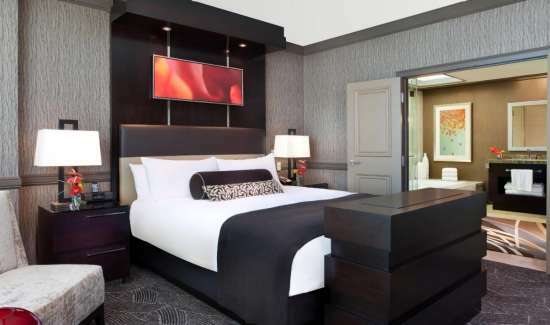 Each suite offers two queen beds and 700 to 800 square feet of space with separate sitting area, where you can bring some friends back to celebrate another win in style. 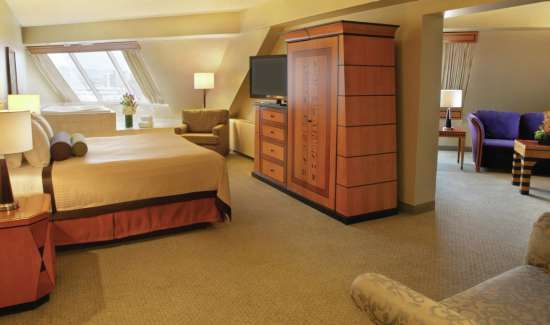 Our one-bedroom Lakeview Suite boasts opulent details and spectacular views of our famed fountains and lake. 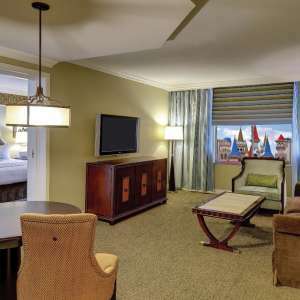 One Bedroom Lakeview Suites feature luxe details and Fountain views. 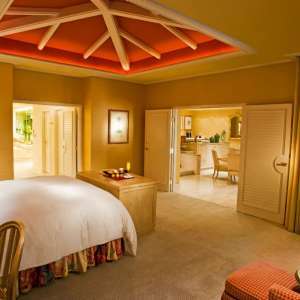 Enjoy vast living areas, master bedroom and couples’ baths with steam shower and whirlpool tub. 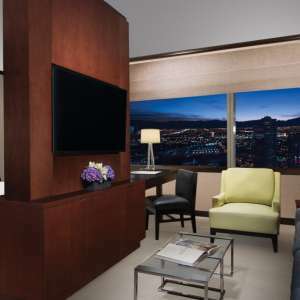 This upscale Media Suite blends ample living space, inviting comfort, and striking entertainment. 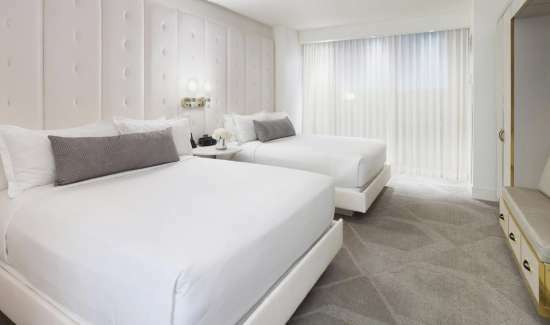 One of New York-New York’s newest remodeled rooms featuring elite and modern amenities. 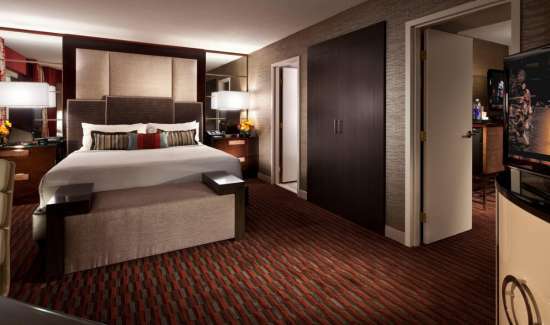 One of New York-New York's newest remodeled rooms featuring elite and modern amenities. 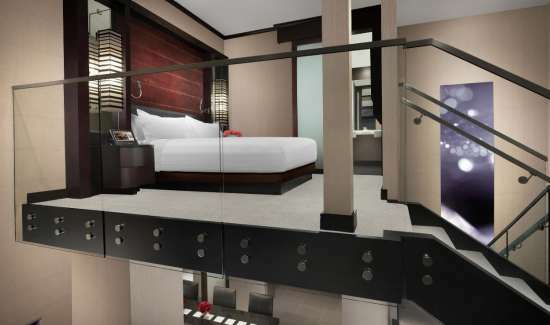 Feel like a VIP in this 1100-square-foot luxury suite. 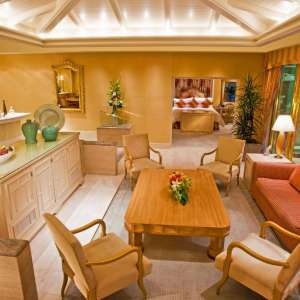 Includes a dedicated sitting area, full kitchenette, king-sized bed & whirlpool spa tub. 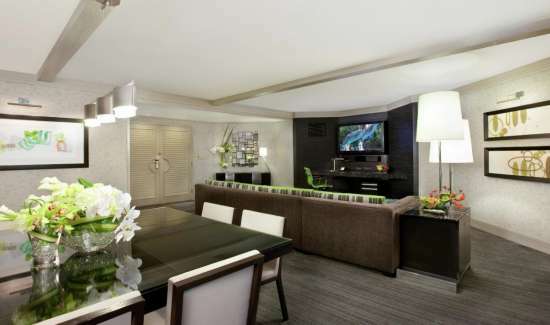 This suite provides the space and amenities to ensure both you and your guests enjoy every second. 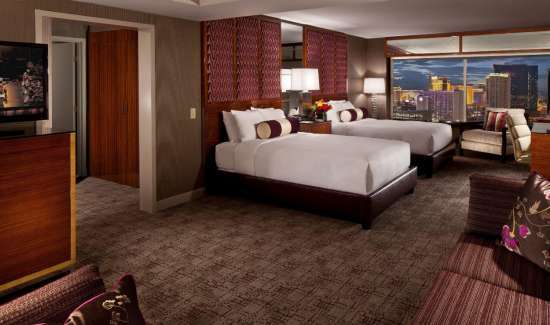 The suite life can be yours in this 700-square-foot deluxe suite. 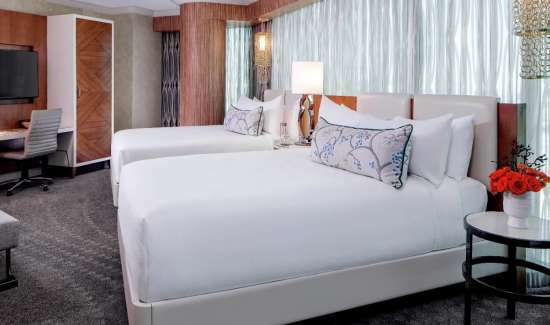 This lavish 700-square-foot newly upgraded deluxe suite features a plush king bed, 4-person whirlpool tub and dining area. 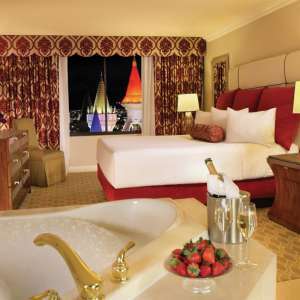 Indulge yourself in luxury. The One Bedroom Loft is perfect for those seeking the ultimate in privacy and refuge. The master bedroom features floor to ceiling windows & well appointed bathroom. The living area comes complete with audio/visual capabilities and a large dining table. 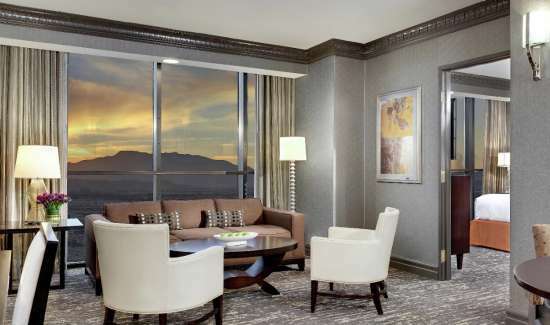 Enjoy the timeless beauty of Bellagio in these spacious suites. 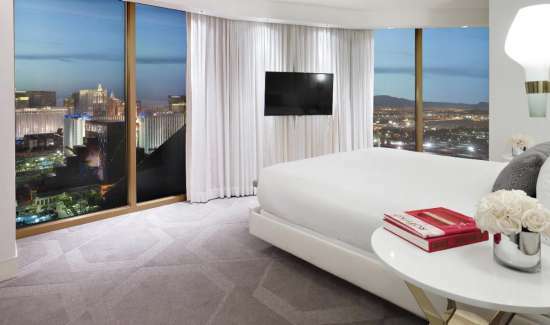 The residential-style layout features a beautiful King-sized bed and an elegantly furnished living area featuring views of the Las Vegas landscape. 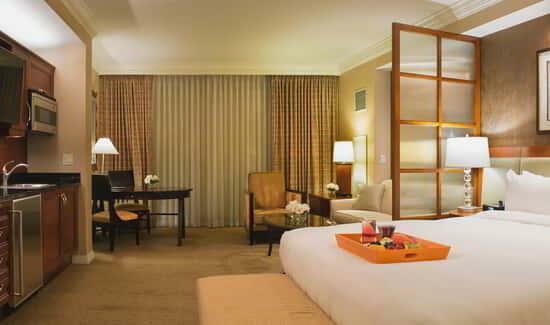 One deluxe King Bed wrapped in smooth linen centers this naturally inviting space. 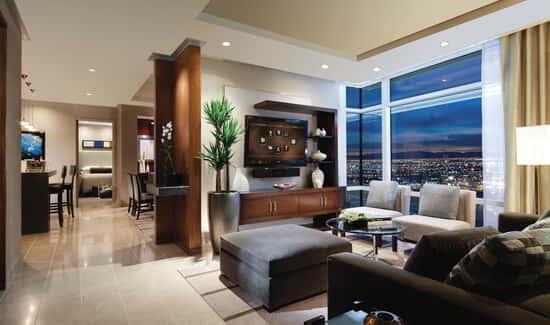 Vdara’s base suite is anything but ordinary. 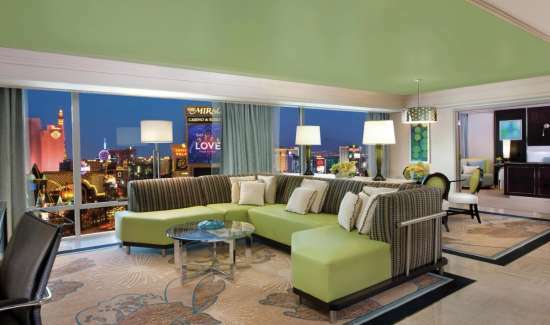 A private balcony with Strip views, dedicated sitting area, full kitchenette & rejuvenating spa tub. 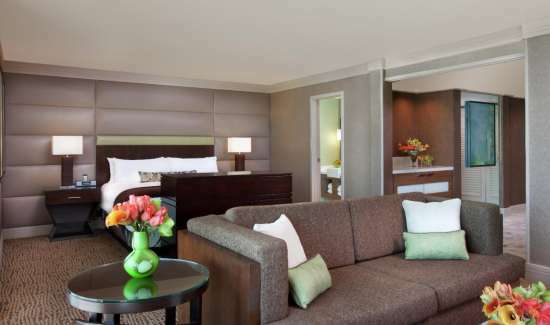 The Executive Corner Suite offers 811 square feet of space for you to enjoy. 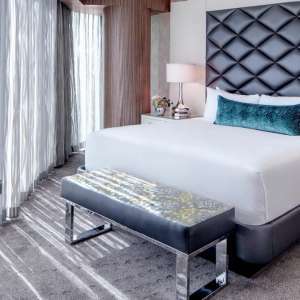 The ultimate Vdara experience the Two Bedroom Loft provides the best in design, amenities and comfort. A private balcony with Strip views, full separate sitting area, full kitchen & rejuvenating spa tub. 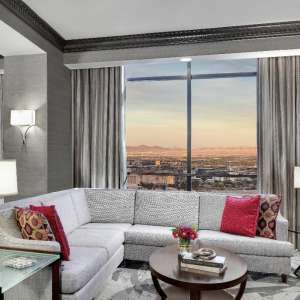 This suite boasts gorgeous Strip views from a private balcony along with a full separate sitting area, full kitchen, and a rejuvenating whirlpool spa tub. 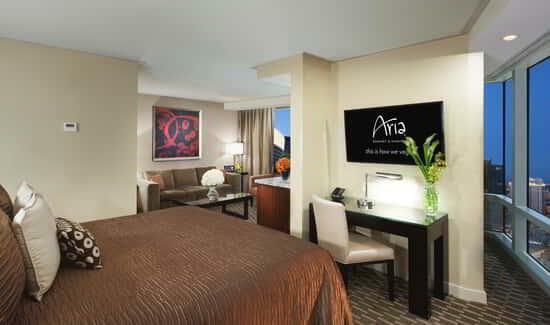 With Vdara Club Lounge Access, this Studio Suite just got suiter. The views are stunning, the location is perfect and all that is missing is you. 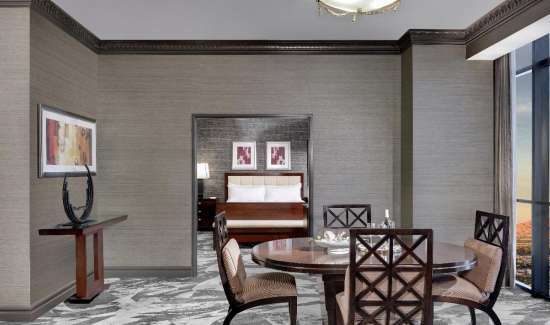 The Presidential Suite features a private solarium, indoor garden and fountain, fireplace, L-shaped bar, two master bedrooms, private bathrooms, and a conference room. 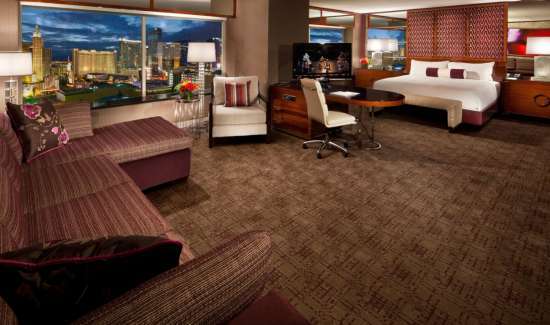 Indulge in the comfort of a peaceful Las Vegas hotel suite. 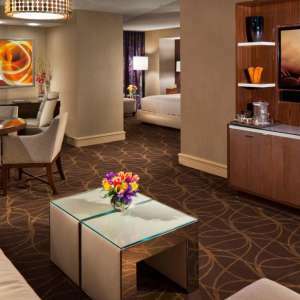 Our Salone Suite is a lush, peaceful haven in the heart of Las Vegas. 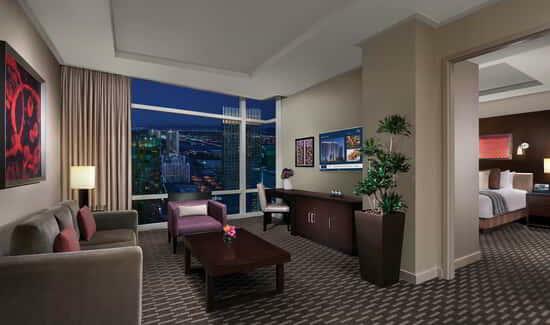 Spacious suites perfect for entertainment. Cypress Suites are spacious, arc-shaped suites designed with a modern floor plan, and complete with dining & living areas. 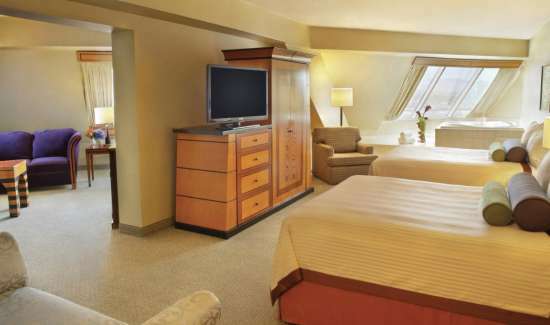 Our 920-square-foot Corner Suites have awe-inspiring views of the mountains. 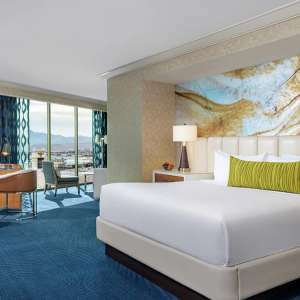 The residential-style layout features beautiful Queen-sized beds and an elegantly furnished living area featuring views of the Las Vegas landscape. 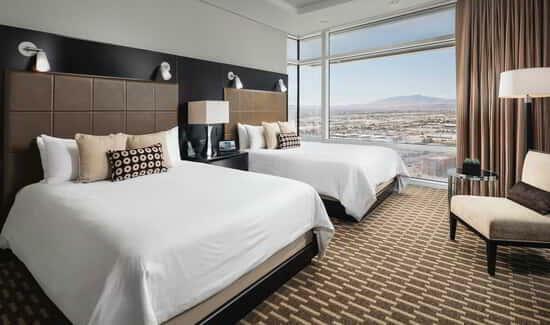 The second you walk in the door, the Panoramic Suite is exactly what you are looking for. 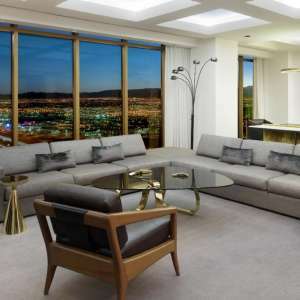 Enjoy open-space living ideal for entertaining in these classic Las Vegas suites. 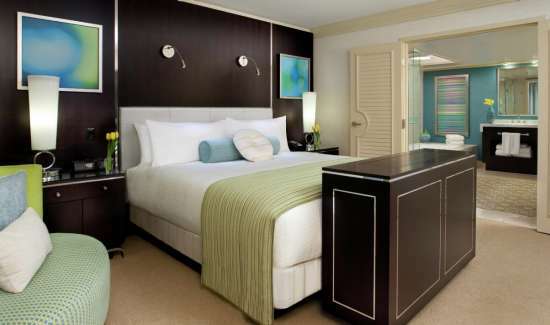 Tower Suites are designed with a marble foyer, open living and dining area, a separate master bedroom, and a bathroom with whirlpool tub and separate shower. 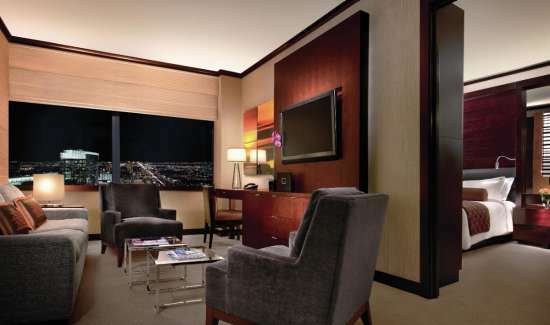 Vdara’s Studio Parlor suite is 582 square feet of comfort. Ideal for honeymoons or romantic getaways. 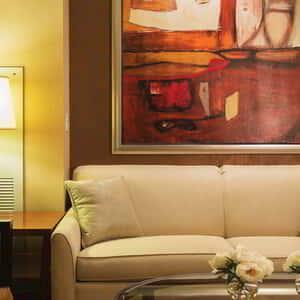 An intimate setting with a king size bed, adjacent parlor, and a marble foyer with wet bar. 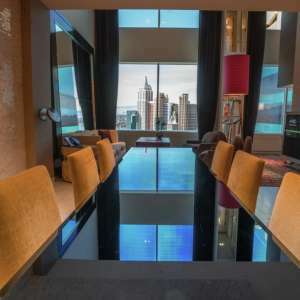 The floor to ceiling windows reveal breathtaking views of the city. Pets are treated to the same outstanding service as human guests with our very own dog menu and sitting service. 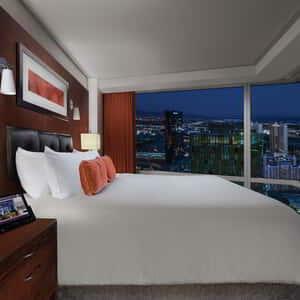 With access to Vdara Club Lounge, experience a one bedroom suite with new heights. Stunning views and a spa-soaking tub are just the beginning.